Personalized Hanging Race Car Sign - - 2 sided garage race car plaque holds 2 lines of custom text. The same personalized text appears on both sides of the sign above an amazing racing car. 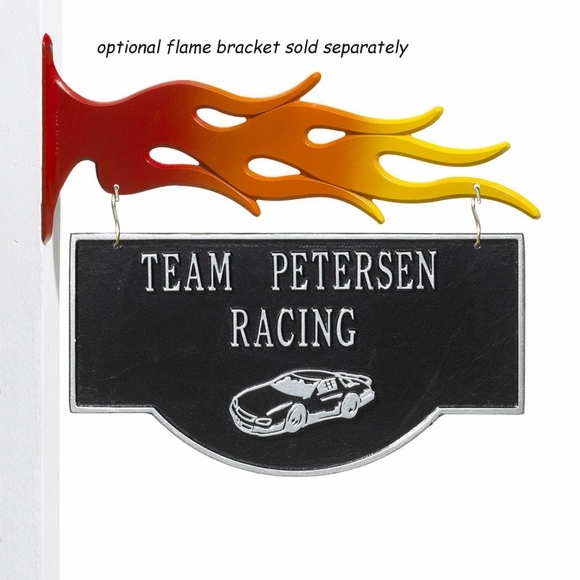 Personalize with your name, your address, garage name, racing team name, etc.